WOW! 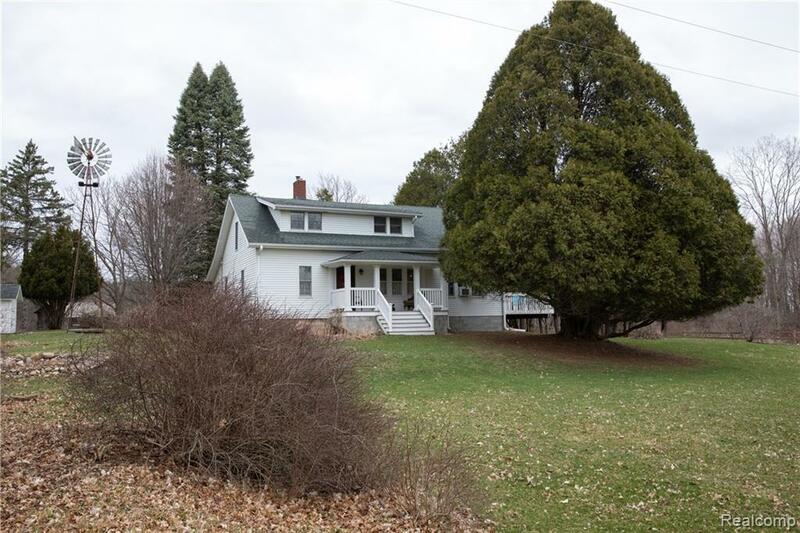 This beautiful, immaculate & totally updated farmhouse is move in ready. Only 3 miles off M-15 (state rd) & 6.5 miles north of Graff Chevy makes this a perfect location. 10 beautiful acres of maple trees, Rd Buds, trails & wildlife. Hugh hay barn, horse barn, brooder, 2 corn cribs & various out buildings. Circle Dr, windmill covered front porch & hugh 24x14' deck. Surrounded by county land and short distance to Holloway, fishing and boat launch. Home has been meticulously maintained, dry clean basement would be great for storage, office or work out room. Reverse Osmosis stays with home along with all appliances. 1st floor laundry, gas fireplace & soaring windows perfect for watching the abundant wildlife & birds. Seller prefers oil heat as it is warmer, but can be converted to LP gas. Dryer and fireplace is LP so already on property. Enjoy country life with shopping and X-ways just a short drive away. When past meets present, this is it! 24 hour notice for showings! !